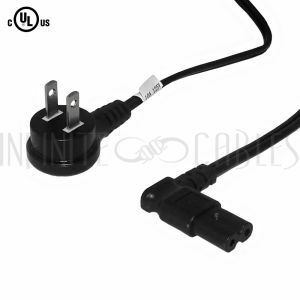 This power cord consists of a 1-15P male on one end and a C7 female on the other end. It is typically used to connect a server or UPS to a PDU or a wall outlet. 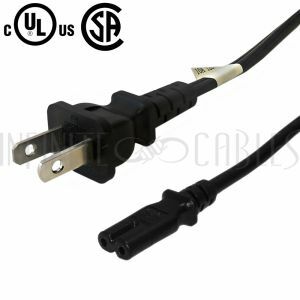 This power cord consists of a 1-15P down angle male on one end and a C7 right angle female on the other end. It is typically used to connect a server or UPS to a PDU or a wall outlet.